Late last month, we learned that ESPN was parting ways with Sunday NFL and Monday Night Countdown analyst Keyshawn Johnson. It appears that the Worldwide Leader has found the man to replace Keyshawn on ESPN set. 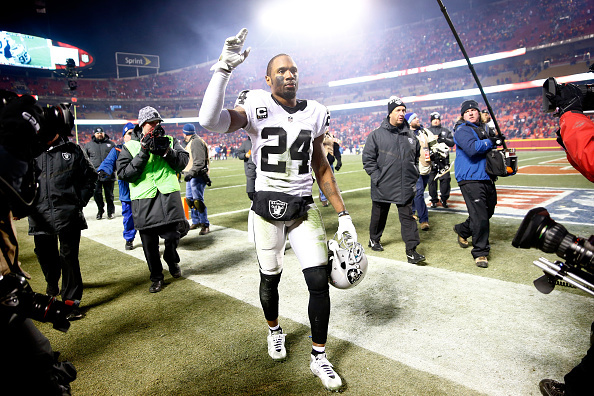 The Big Lead reports that it will be none other than the recently-retired Charles Woodson. The Big Lead says ESPN would not confirm its report, but will make an official announcement later this month. Woodson was a Heisman Trophy winner at Michigan, the last defensive player to win the honor. In the NFL, Woodson played in Oakland and Green Bay, winning a Super Bowl with the Packers. At ESPN, Woodson will join Chris Berman, Cris Carter, Mike Ditka and Tom Jackson on the Countdown set. And once at ESPN, it’s expected that Woodson will make appearances on various different platforms and shows. So with Woodson on board, ESPN will have a full set of analysts on its Sunday and Monday pregame shows. We’ll see if this begins a process of the network bringing in more contemporary analysts to replace some of the old guard.